Set of two roman numeral slim dog tags. This item comes with a 65cms slim ball chain. 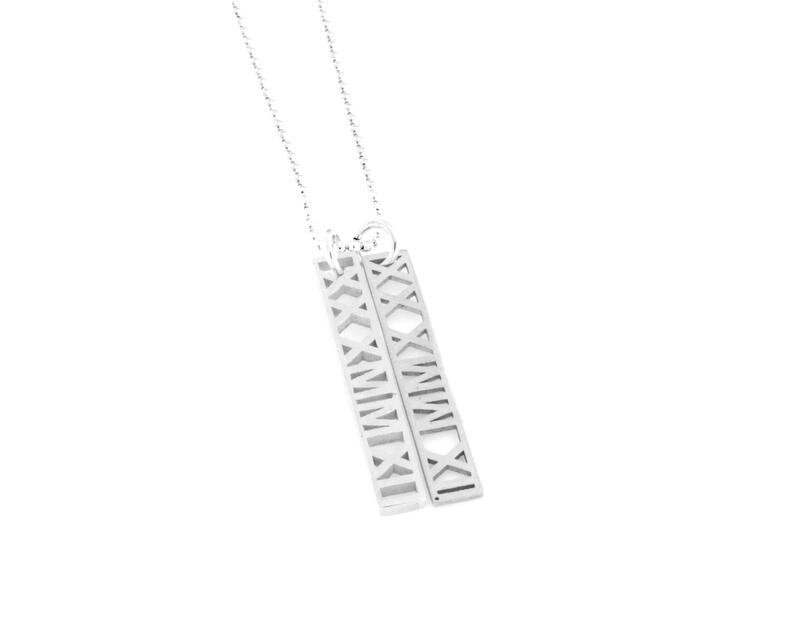 We can do any roman numeral date you would like. Great to remember important dates. 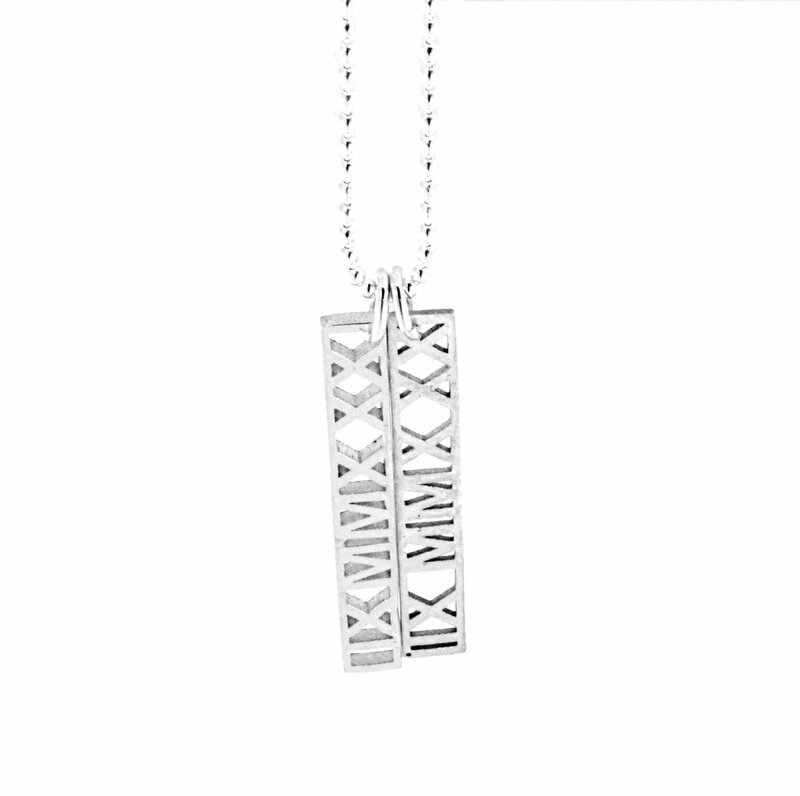 Description: Great set of unique stencil roman numeral tags. This item comes with a 65cms slim sterling silver chain. The tags are solid sterling silver. Dimensions: The tags are 35mm long and 5mm wide. It is 2mm thick. The chain is a 1.5mm ball chain that is 65cms long. Chains: this item comes with a fine ball chain but if you would liek a chunkier ball chain please choose from the drop down menu. Let us know what you would like for each of the tags. Manufacturing time: It is 10 working days however if you need by a certain date let us know on the 2nd /3rd page of the checkout and we will let you know if we cant make the time frame. We work hard to meet your time frames. Guarantee: we love what we do and go out of our way to make sure you are happy with your purchases. Made in Australia from Australia sterling silver, designed by Coolabah Charms. Hello can this charms be put on a leather necklace?